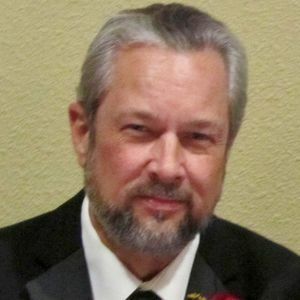 James W. Bell, otherwise lovingly known as "Jim" or "Jimmy", age 64, native San Antonian, flew home to heaven to rejoice with his Lord and family on Tuesday, March 19th, 2019. Little Jimmy was born to Joseph W. Bell and Ruth A. Hamilton on June 24th, 1954, in San Antonio, Texas. He attended St. Luke's Catholic School and graduated from Antonian High School in 1972. He married the love of his life, Rachel Pickard, on April 18th, 1980 and was married to her for thirty-nine loving and treasured years. He leaves as his legacy his twins and their spouses: James P. Bell and Jennifer Bell; Jessica Bell-Gaut and Jerry L. Gaut. He is also survived by his siblings and their spouses: Joseph W. Bell, Jr., MD. and Deborah K. Bell, NP; Joanne Bell-Teweles and Col. Robert Teweles. He was blessed with one grandchild, James P. Bell, Jr. and many beloved nieces and nephews. Jim's heart and soul was fully invested into his family. When he could, he loved to travel with them and especially enjoyed taking them to San Francisco and Napa Valley. He loved any sort of weather that reminded him of San Francisco- the brisk, chill air and warm sunshine brought him joy and comfort. He relished making day trips to Marble Falls and Inks Lake and liked to fish and explore. He was creative and loved to build things from scratch, tend to his garden, and come up with ingenious hacks around the house. From the time he was a little boy, he always loved planes and was able to take flying lessons in solo when he was a young man. Jim and his wife spent many of their early years together watching the planes land and take off from the San Antonio Airport, and he loved taking his children to airshows and riding on plane flights with them. Jim is remembered as being an extremely sweet, thoughtful husband, father, brother, uncle, son, friend, and coworker. He was a punny man who found laughter and joy in the simplistic, everyday moments. Interment will follow in Holy Cross Cemetery.